Salomé et les hommes en noir is Valérie Amiraux’s bestselling book to date … and quite a bit different from her other publications. The comic (a collaboration with Francis Desharnais, who is best known for his graphic novel Burquette) is based on notes Amiraux took as she observed her three year-old daughter puzzling over their first encounters with the Hasidic community of Outremont. Amiraux studies religious minorities and religious discrimination, processes of radicalization, and the representation of terrorism in popular culture. A citizen of France, she moved to Montreal 10 years ago to join the sociology department at the University of Montreal. “It was August, two days after our arrival. I started walking with Salomé to discover the neighbourhood. One of the reasons I chose this neighbourhood is that it’s central. I don’t have a car. I needed to be in a very convenient place so that it’s easy for me to get to work, easy for schools, has easy connections to the airport. And Outremont is full of green spaces. Moving from Italy where we had a wonderful house in the countryside, I wanted to be located somewhere where she could play outside very easily. When she looks at Outremont, Amiraux does not consider the conflicts in the borough to be about religion as religion. “When people address religion they address religion for what they see of religion. It’s about people’s perception: of rituals, of places, of schedules, of dress. It’s like a mirror or a glass window through which people look, and what they see is people who do not behave as they themselves would. If this quality of public discourse does not change, Amiraux is pessimistic about the future of Outremont. She believes that this kind of discourse creates conditions in which violence – like the recent murderous attack in Quebec City – becomes possible. Amiroux’s call for a change in public discourse is not a call for a less robust discourse. She is critical of a superficial, “polite” consensus that leaves no room for conversation about what really drives people. She is optimistic about the possibilities if people were to realize the power they have to be conciliatory agents at the local level, and create spaces in which to talk about the issues without immediate polarization. For the past two months, I’ve been researching and writing a series for Convivium on what many would see at first glance as a strictly local problem. I’ve met with, talked to, and tried to understand the complex, interwoven responses of my neighbors in Montreal’s Outremont borough to expansion of the Hasidic Jewish community. The community’s growth, most people acknowledge, prompted a particular political moment: the approval of a referendum and subsequent passage of a bylaw restricting development of new places of worship. Though the action was presented as pan-religious, few dispute that it was directed at the Hasidim. We should never mistake, though, the pins that politics pushes into a given map with the actual map itself. In my explorations, I’ve discovered a great deal about the way in which strangers becoming friends, families seeking peaceful resolution, business owners protecting their interests, and people of faith living out their understanding of God’s will contributed richly varied responses to the bylaw, and enlivened borough life as a result. I also grew personally aware of how little I knew about the tensions under the surface in Outremont with regard to faith and civic life. I knew very little about the history of that conflict, and came to understand that I understood less. Conversation by conversation, I’ve learned a little more. While the tensions stretch in several directions, some of the bigger stretches involve the compatibility (or not) between commercial and religious interests, and the cultural distance between the more secular francophone and the more religious Hasidic residents of this beautiful borough of Montreal. As I listened to my conversation partners talk about the Hasidic experience of Outremont and the non-Hasidic experience of Hasidim in Outremont, I started wondering: How new are these tensions? As best as I can tell the particular tensions I was beginning to understand have roughly a twenty-year old-history. What was the Jewish presence in and experience of Outremont like before all of this? Just as I started to ask these questions,ConviviumMagazine’s Hannah MarazzimentionedZev Mosesand theMuseum of Jewish Montreal(MJM) to me. Correspondence with Zev pointed me to the MJM’s treasure trove of photographs, which gave me glimpses of Outremont in the 20thcentury. Here I moved from seeing what is going on from the perspective of my neighbours dealing with an immediate problem of this moment, and began to develop a deeper image of Jewish life dating back to the turn of the previous century. In other words, I began to understand it as a part, close at hand, of human history writ large. That understanding is best expressed in photographs. Here are some of my favourites. Reuben Brainin, an influential editor of and writer for Hebrew and Yiddish newspapers, was born in 1862 in the hometown of Rabbi Schneur Zalman, the founder of Chabad Lubavitch, in what today is known as Belarus. He lived on Davaar Avenue in Outremont between 1912 and 1916, and his children continued to live in Montreal afterwards. This photograph shows Brainin with his sons, who enlisted in the Jewish Legion during the First World War. The first Jewish synagogue in Outremont, Beth David, was established in 1929, when the congregation (which was established in by immigrants from Rumania) bought a building on St. Joseph Boulevard that had previously belonged to St. Giles Presbyterian Church. The congregation sold the building to St. Nicolas Russian Orthodox Church in 1965. Social activist Léa Roback was born in Montreal in 1903 and died in the city in 2000 (the same year that she was made a Chevalier of the Order of Quebec). She lived on Querbes Street in Outremont from 1937 to 1951. Born into an observant Jewish family she identified as a Marxist for most of her life. Roback ran the Modern Bookshop and was a suffragette and labour union organizer. Roback’s live was celebrated in the 1991 film A Vision in the Darkness/Des lumières dans la grande noirceur. The Léa Robeck Foundation gives educational scholarships to Québec women who are socially committed but economically disadvantaged. Hannaniah Meir Caiserman (shown here with David Rome, arriving back in Canada from meeting with Jewish refugees in Poland after World War II) played a leading role in the Canadian Jewish Congress from 1919 to 1950 (when he died). He lived on St. Joseph Boulevard in Outremont from 1939 to 1948, and he and his wife, Sarah Wittal-Caiserman, made their home into a salon for writers and artists, contributing significantly to Montreal’s lively Yiddish literary scene. The Adath Israel congregation was established in 1930 and worshiped in rented premises on Van Horne Avenue in Outremont for a decade before constructing a synagogue on McEchran Avenue. At its McEchran Avenue location Adath Israel established the first Jewish congregational day school in Montreal (and the second in North America). An extension to the school building in 1952 created the space needed for Montreal’s first Jewish high school. In 1981 the congregation amalgamated with two others and relocated out of Outremont. In 1948 the poet and novelist Abraham Moses Klein (shown here standing, at the center of the photograph, in the Jewish Public Library in 1945) published The Rocking Chair, a series of poems inspired by Montreal locations for which he received the Governor General’s Award. Klein studied politics and law at McGill University and Université de Montréal. He worked as a lawyer, editor, speech writer and publicist against anti-Semitism in Canada and in efforts to save the Jews of Europe from persecution by the Nazis. In 1951 he published The Second Scroll, a novel in which he tries to find meaning in the post-Holocaust world. That same year Klein moved to Querbes Street in Outremont, where he lived until 1972 (albeit withdrawn from public live after a nervous breakdown in 1955). Murdock is a Chartered Financial Analyst as well as an investment and marketing expert. Much of her expertise was gained as she worked in sales, social media strategy, and marketing in the financial services industry. For a time she managed marketing for a global investment research business. Living just a few steps away from Bernard Avenue, Murdock is one of my neighbours in Outremont, and she cares passionately about the borough. “I love Outremont and the Mile End for the diversity. It feels safe. It feels happening. It’s fun. I like the diversity of the streets. Van Horne is sort of rugged and up-and-coming. Laurier is a bit chichi. Bernard is my favourite. It’s the intersection between grassroots and high quality. Interesting stores. I’ve started going to the cheese store [Fromagerie Yannick], and there are cheeses like I’ve never seen. There’s this little store, Safran, which sells decorative stuff. I walked in there and I saw butter dishes shaped like whales. But learning that a large building on Bernard Avenue, just steps away from her home, was being converted into a place of worship alarmed Ms. Murdock. Her concern for the character of Outremont moved her to work for the borough referendum campaign supporting a ban on new places of worship on Bernard Avenue. According to Murdock, permits were granted by the borough for the building’s conversion to a 4,500 square foot synagogue and mikvah, or Jewish ceremonial bath. But when the property was subsequently inspected, “ it had become a 10,000 square foot synagogue,” an egregious permit violation that appalls her. A few blocks further east along Bernard, another place of worship has been standing with an uncompleted and unsightly façade for months. Murdock says issues such as those involving the two buildings explain, partly, the lack of goodwill between neighbours in Outremont. The conflict over façades is accompanied by a clash of values. There were several incidents, according to Murdock, in which stores on Bernard were asked to adjust window displays that did not meet Hasidic standards of modesty. As much as she wants the Hasidic community accommodated, these are the kinds of accommodations she believes would inappropriately curtail the expression of values that she herself holds dear. Mindy Pollak is a 27-year-old borough councilor in Outremont and a Hasidic Jewish woman. She was elected as councilor about a month before she turned 25, despite previously never having given a career in politics any thought. Her journey into borough politics began in a 2011 conversation with her Palestinian-Canadian neighbour, Leila Marshy, about ways in which people on their street could get to know one another a little better. Out of that conversation grew the social group Friends of Hutchison Street, which in the years since has hosted the launch of the comic book Salomé et les hommes en noir by Valérie Amiraux and Francis Desharnais, a Purim Walk that invited neighbours into the homes and celebrations of that Jewish holiday, a bake-off, and several community conversations. The work of Friends of Hutchison Street brought Ms. Pollak to the attention of the municipal political party Projet Montréal, which approached her to run on their ticket for the borough council of Outremont. It is not only her constituents who are surprised. Her political work is drawing attention from well beyond the borough. The November 2016 referendum concerned the Outremont borough by-law that prohibits new places of worship on Avenue Bernard, particularly affecting synagogues. Pollak says the prohibition makes it impossible to open a new place of worship anywhere in the borough. By-laws prohibit new places of worship on all residential streets and on the three major commercial streets, Van Horne, Bernard, and Laurier. There is a small former industrial area (near the railroad at the northern border of the borough) that had previously been proposed to allow places of worship, but other zoning issues within that area mean it is not presently available. And it is a long walk from where the borough’s Hasidic community lives, especially in the cold Montreal winter. As it turned out, just over 1,500 Outremont residents voted in favor of the by-law, with 1,200 voting against. She also draws a connection between the local politics of the borough of Outremont and events in the world at large. But Pollak refuses to let the results of democratic politics – global or local – dampen her hope. Joseph Hovsepian was born in Greece. Both of his parents were refugees from Turkey, survivors of the Armenian genocide. While still a teenager, he earned a diploma as an electrician and did military service as a wireless engineer for the Royal Hellenic Air Force. He found work in Montreal with Canadair (which much later became Bombardier Aerospace). In 1962 he started Radio Hovsep, an electronics sales and service store where, in addition to much else, he repairs vintage radios and record players. Radio Hovsep has been on the same Park Avenue block on the boundary between Montreal’s Mile End and Outremont districts ever since. Joseph and Jessie (Hasmig) live in the apartment upstairs. It is a five-minute walk from Radio Hovsep to Temple Baptist Church. When Joseph arrived in Canada, the pastor of Temple Baptist was Paul Stevens, who went on to become a professor at Regent College in Vancouver. Paul has since written several books on the relationship between Christian faith and everyday work, one of which includes Joseph’s story. With many English-speaking Canadians moving away from Montreal during the 1960s and 1970s, reacting to Quebec separatism, Temple Baptist (which was founded in 1909) suffered a decline in members, so much so that it was suggested that the church close down. Instead, the Hovsepians volunteered their services to help keep the congregation going. Jessie plays the organ and Joseph became Pastor Hovsepian, doing what is sometimes called “tentmaking ministry” emulating the apostle Paul who is portrayed in the New Testament as supporting his ministry to the first Christian congregations around the Mediterranean by making tents. Temple Baptist today is a thriving, multi-ethnic, anglophone congregation, and it can boast of having started several other congregations in Montreal’s Greek, Spanish, Chinese, and Armenian communities. In the past decade, Temple Baptist has also supported the Hovsepian’s ministry to the impoverished villages of Armenia, which led to hundreds of people being baptized. “I’ve not missed Europe too much, because Europe is here also,” Pastor Hovsepian says. When he moved to Montreal, Park Avenue had such a vibrant Greek and Greek-Armenian population that there was talk of renaming it Greek Avenue. There were also Greek and Armenian restaurants and bakeries on Bernard Avenue, just a few minutes’ walk from Temple Baptist, and many more stores serving that community. “Whatever I need in Greek foods, Armenian, I can get here,” he says. 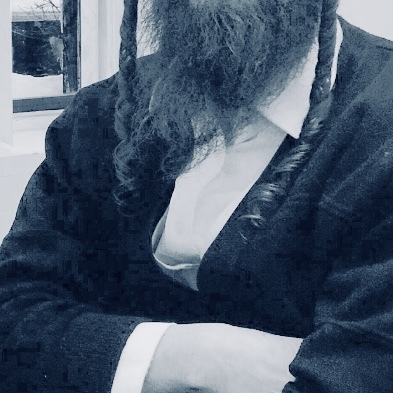 While the Hasidic Jewish community has been present in or near Outremont from before Pastor Hovsepian’s own arrival – he is friends today with Hasidic business owners whose parents and grandparents were also his friends – it has grown considerably larger over the decades. In the summer the sidewalks are lively with little Hasidic children zooming along on their scooters and bicycles, and during the school year the yellow buses ferrying children to their Jewish day schools are a significant feature of the neighbourhood’s street traffic. What, then, to make of the current tensions over places of worship on Bernard Avenue? The borough council banned places of worship in a by-law earlier this year, and in a recent borough referendum roughly 55% of voting residents were in favour of the by-law. I leave Radio Hovsep with a copy of Pastor Hovsepian’s book, God’s Workshop, in hand (the English edition, not Armenian. ), and encouraged to visit Rôtisserie Panama in the Parc Ex neighbourhood for a great Greek meal. “And go to Lester’s for smoked meat,” the Pastor urges.